This is the third Australian crime novel I’ve read this year and probably my favourite. I read Adrian Hyland’s Diamond Dove when it first came out in 2007 and loved it but then promptly forgot about the author. A combination of taking part in the Australian Women Writers Challenge and therefore having Australian fiction on my radar and Maxine at Petrona hinting at the quality of Hyland’s latest book, the non fiction Kinglake-350 prompted me to read Gunshot Road, the second Emily Tempest mystery. Hyland seems to have made quite an impact in the UK. My local library had a few copies of both of his books and they seem to have been borrowed regularly. And it’s easy to see why. Hyland’s books are a great read. Gunshot Road has Emily Tempest who is half Aborigine working as an Aboriginal Community Police Officer in the outback town of Bluebush. Although most of her work involves dealing with the fights between the town’s miners and meatworkers the death of an old friend, the geologist Doc, has her trying to extricate his friend Wireless from taking the blame. Like Diamond Dove, the book’s greatest asset is the wonderful character of Emily Tempest. As I was reading the book, I kept thinking what a masculine character Hyland has made her. Her attitude to drinking, relationships and policing all had a male feel, far more than I get from other feisty heroines such as Kinsey Millhone or VI Warshawshi. But my theory proved to be a big mistake because the rough justice meted out in the Australian desert is particularly vicious for women, as Emily finds out for herself. The language of the book is just wonderful. I loved the Aussie dialect and thought some of the turns of phrases really wonderful. 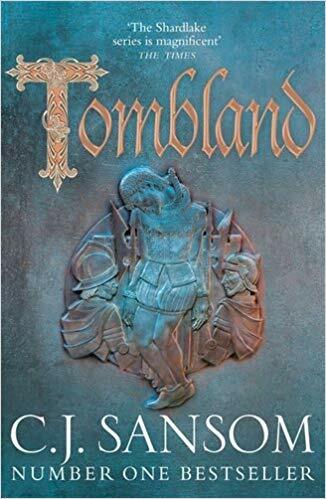 There’s little room for sentimentality in Hyland’s writing, despite the evocative descriptions of the desert and this casualness really made the narrative move at a pace and with a wry humour. There is a great sense of place, despite the fact that I really don’t know anything about the Northern Territories where the book is set, it didn’t seem to matter. I felt part of the whole rough community and could see the person that you would need to be to survive in such a place, where racism and drug and alcohol fuelled violence is endemic. It is a really wonderful book and I would love now to read Kinglake-350 but is seems to have disappeared from the UK Amazon site. Any ideas where it has gone? There are some excellent reviews of this book at The Games Afoot, Petrona and at Reactions to Reading. Sarah – I am so glad you enjoyed this novel as much as you did, and you’ve written an excellent review of it, for which thanks. I think you’re spot on about both the language and the character of Emily Tempest. I really hope we see a third Emily Tempest novel soon! I agree Margot. I new Emily Tempest book would be great. What a great review, Sarah. I am so glad you liked this book, as I thought it brilliant, too. You make a very good point about Emily’s toughness and the awful treatment she was subjected to, because she is a women. I was reading a piece in the paper today which reminded me of this – a woman farmer in Goa who did not want to sell her land for mining purposes (ie give up her livelihood) and as a result was beaten up. The line between a civilised country/behaviour and not is very thin. Returning to Gunshot Road, I agree with your perspective on Hyland’s writing, it is like a musical poem but not at all mushy – the opposite. Hyland wote very well about the assault on Emily. It is a difficult subject to get right and I think he did. I am annoyed about the disappearance of Kinglake-350, Fair enough it was a promotional price but surely the book shouldn’t then disappear. People read something, recommend it and then surely then we should be able to buy it. It’s all very odd. I will see if Amazon/the publisher can help. so glad you liked this one – one of my favourite books of all time I think – very atmospheric of the place (sadly in some ways but we humans can be bloody awful). Astonishing that tKinglake-350 would disappear from the kindle store – though I have had that happen to me too – put things on my wishlist then go back a little while later and they’re no longer available – madness! Yes and I think it was a very cheap promotional price too. I try to avoid loading my kindle with too many books that sit on there unread and then I can’t remember why I wanted to read them in the first place. I missed a trick with Kinglake-350 though. Hi Sarah, can this book stand alone? I started the first book but put it aside. I thought the pacing was slow even though the mystery and the characters were interesting. Thanks for any advice you can share. Keishon: I have only read this one, and it worked perfectly well for me. Hi Keishon – yes as Dorte says this book works well as a stand alone. However I would say that the pace and tone of the two books are very similar so if ‘Diamon Dove’ failed to grab you ‘Gunshot Road’ might not be for you. But do give it a try as I think Hyland’s second book was slightly better in terms of a well rounded plot. Thanks for you comments Dorte. Glad you are a Hyland fan too. I agree this is a wonderful novel. I loved this book, too, and probably bored people with my constant raving about it. Not only do I like Emily Tempest, but thought the parts about the Indigenous peoples in Australia was informative and interesting, and that the language was wonderful. At times, I felt like I was savoring a delicious dessert, one bite at a time. Sometimes I read a bit and thought about it, instead of racing through pages. I hope Emily has more adventures. Yes I think Adrian Hyland writes very well using a female protagonist and this one of the few times I think the female assault scene was not gratuitous or unnecessary. I think in a rough and ready environment something like that could happen easily.